How SEO technical knowledge can help your SEM campaign? White Label Development will go through the SEO report of the site of your choice during a 30 minutes conference call to help you improve your website performance on search engines. Whether you’d like to review your company website or the website of one of your clients, click and complete the SEO review registration form so we may contact you to set up the SEO review conference call. At White Label Development we only work with Digital Marketing companies, providing the expertise and bandwidth needed to win and retain profitable clients. In many cases we have enabled Agencies to win business with premium clients that they would previously have turned away because they didn’t have the ability to compete. We operate by five absolute principles in everything we do. 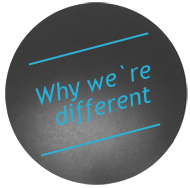 We believe these give us, and our clients, an enormous competitive advantage. The bottom line is that we can make your jobs more profit and expand your opportunities. If you want to know more about how we can add significant value to your business, please contact.